Substance Abuse Professionals (SAPs) must complete 12 hours of professional development relevant to performing SAP functions during each subsequent three-year renewal period to maintain their qualification. 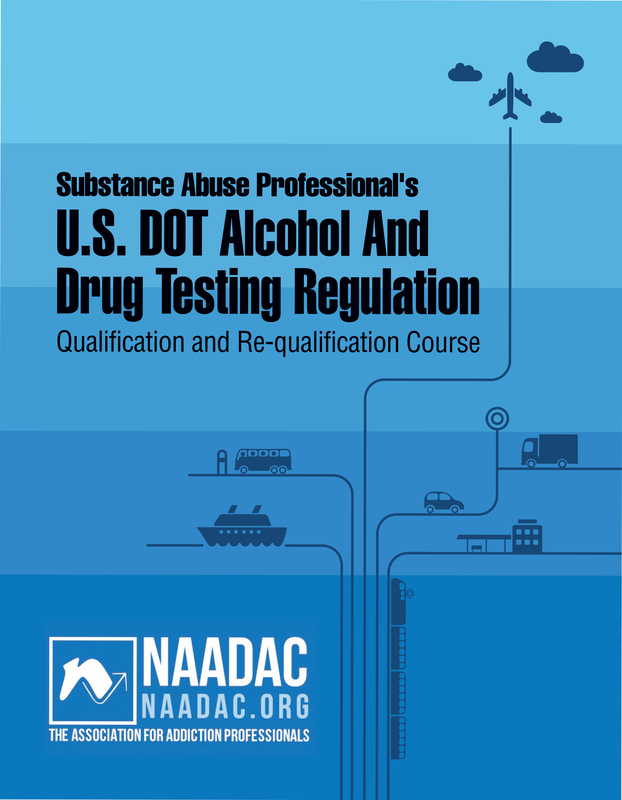 This requirement can be satisfied with NAADAC’s Substance Abuse Professional’s U.S. DOT Alcohol and Drug Testing Regulation Re-qualification Independent Study Course. This course includes a bound Learner's Guide and 25-item online examination. Look inside the Learner's Guide before purchase! STEP 2: NAADAC will mail you the bound Learner's Guide and access instructions for the password-protected 25-item online examination. STEP 3: Read the training materials and take the 25-item online examination within 90 days of receipt of the materials. Applicants who achieve a passing score of 75% or higher will be issued a Substance Abuse Professional (SAP) Qualification Certificate to frame and display in your office and a Certificate of Completion for 12 CE credits. SAPs qualified through NAADAC are afforded another three years of maintenance-free eligibility to practice as an SAP, as well as a free listing of your contact information on our website to help advertise your services. Ready to take the online examination? For more information on becoming a DOT SAP, follow the above links, call 703.741.7686 Option 1 or email naadac@naadac.org.